Go on a mission for the right answer. Designed for tiny Zoo trekkers, this activity sheet will guide students from kindergarten through second grade to read the informational signs outside each animal exhibit or habitat to learn more about the Zoo’s residents. Explore Florida wildlife on your next trip to the Central Florida Zoo as you track and learn more about the native animals of the state. You’ll meet alligators and crocodiles and learn the differences between them, and much more as you fill out this Florida-themed activity sheet. 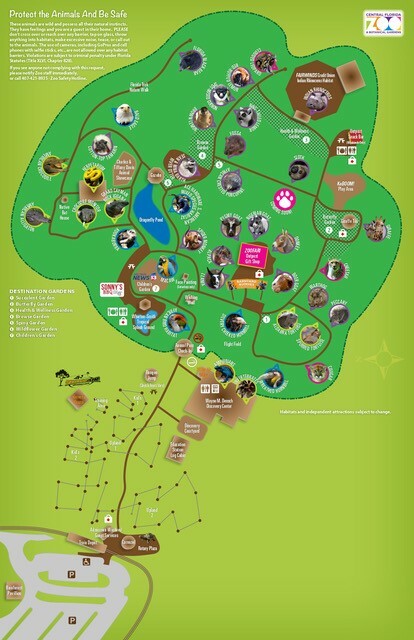 Search for the amazing, exotic and unusual animals of the rainforest as you make your way through the Zoo. To find them all, your group will have to follow the clues hidden in the poems in your adventure sheet. What does it mean when an animal’s status is listed as endangered, threatened or undetermined? What can we do to help animals whose numbers are declining? As students explore the Zoo to answer the questions on their learning safari activity sheet, they will meet several animals facing extinction and work to find solutions for their future. Cost: $10.50 per child; $13.50 per adult. Price includes admission to the Zoo. One adult per 10 children FREE. Please order when scheduling your Zoo visit.